In October 2012 the government introduced the requirement for employers to enrol employees into a qualifying pension scheme, without employees having to take any action. Known as auto enrolment, this change to workplace pension provision brings with it a vast amount of information that employers need to process in order to comply with their new obligations. When is it all going to happen? Staging dates are allocated based on the size of an employer’s largest PAYE scheme on April 2012. The first staging date took place in October 2012, effecting companies with over 120,000 employees. Since then staging dates have continued to effect smaller companies month by month, in a cascading fashion, and will continue right through to February 2018. Can I postpone my staging date? Postponement enables you to delay auto enrolment for some or all of your employees by up to three months. For example, if your staging date is due on 1 August 2015 you can postpone for any length of time up to and until 1 November 2015. This is particularly useful to those with staff on short-term or temporary contracts who may not be employed for as long as three months. Additionally employers can also justify using postponement as a mechanism to align auto enrolment with company accounting and payroll periods. By planning ahead you can factor in the arrival of auto enrolment to coincide with other business processes. If you do decide to take advantage of postponement then you must issue postponement notices to each employee within six weeks of your staging date. 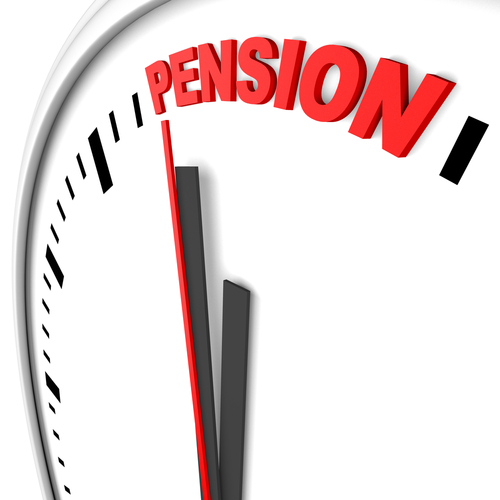 Employers choosing to postpone will still need to have a qualifying pension scheme in place by the time of their staging date. Postponement is not to be viewed as an opportunity to acquire a deadline extension. How do I manage employee communications? It is an employer’s duty to inform employees about auto enrolment. Communications should be issued well in advance of your staging date and must include how individuals will be affected by the new legislation. Without a considered communication plan, eligible employees risk not being made aware of their contribution obligations, whereas non-eligible and entitled employees, will not know that they can join, irrespective of the fact that it won’t happen automatically. A good quality pension provider should facilitate the communications process by sending out letters and other educational materials directly to your employees via post or email. How do I integrate payroll? To ensure a robust auto enrolment process, an employer’s payroll system needs to have an automated exchange of data with the pension system. As payroll timescales are often short, it is imperative that if the data leaves the payroll process for assessment that it is sent across in a standardised, easily replicable way so that it can be loaded, assessed and returned with minimal risk to the payroll run. It is recommended that assessment is carried out within payroll as this prevents payroll having to wait for information from the provider to understand their system’s capability for a smooth transition. How does ‘opting out’ work? Since the introduction of auto enrolment in 2012, the opt out rates were far lower than anticipated. However opting out remains a choice for employees should they have alternative savings in place. Employers cannot avoid their obligation to auto enrol eligible employees into a qualifying scheme. Opting out refers to an employee’s right to opt out of scheme membership after being enrolled. There can be an optional waiting period of up to three months before an eligible employee needs to be auto enrolled into a qualifying pension scheme. Employees can, however, opt in during the waiting period. Employers should also put procedures in place to recognise auto enrolment triggers for existing employees and new joiners e.g. when turning 22 years old, or reaching the minimum level of earnings. Employers will be required to give notice to employees about their rights and status. Employers are not allowed to encourage or induce employees to opt out. Every three years employers will be required to re-enrol their employees. Employers must keep records of any employees who chose to opt out as this group will be affected by re-enrolment. Every three years the re-enrolment date will be a date within one month, chosen at the employer’s discretion, following the original staging date (or previous re-enrolment date). Current legislation sets out quality tests for Defined Contribution schemes that use a concept of qualifying earnings to calculate employer and member contributions. The upper and lower limits of annual qualifying earnings have been set by the Department of Work and Pensions at £5,824 to £42,385 (for tax year 2015 to 2016). However, earnings need to be at or above £10,000 per annum before auto enrolment triggers. Member contributions will be based on gross earnings, including overtime, bonuses and commission within the qualifying earning band. Pay as You Earn is a system whereby employers deduct income tax and National Insurance contributions each time an employee is paid. Therefofre tax is paid over the whole year and employers are responsible for submitting tax statements to HM Revenue & Customs (HMRC). Stated from time to time by the governnment as being the date State Pensions start to be paid under normal circumstances (currently 65 but increasing to 67 and 68 by 2018). Defined contribution, sometimes known as “Money Purchase”, the amount of contributions that will be made into the fund are known in advance. However, the amount of benefits that will be paid at retirement are not known in advance as they will be dependent upon the value of the investments at retirement and the cost of purchasing an annuity (i.e. a pension). The band of earnings that require employers to auto enrol their employees into an auto enrolment pension scheme. Currently this stands between £5,824 (lower level) to £42,385 (upper level) for the 2015 to 2016 tax year. A pension scheme selected ny the employer that meets certain quality criteria e.e. contribution levels, compliance. y this stands between £5,824 (lower level) to £42,385 (upper level) for the 2015 to 2016 tax year. Once phasing in is completed – by 2018 – there will be a legal requirement for employers to contribute a fixed amount of employees’ qualifying earnings – more can be contributed if employers wish to do so. Do you need help running your payroll? Please feel free to contact us for a free of charge consultation.